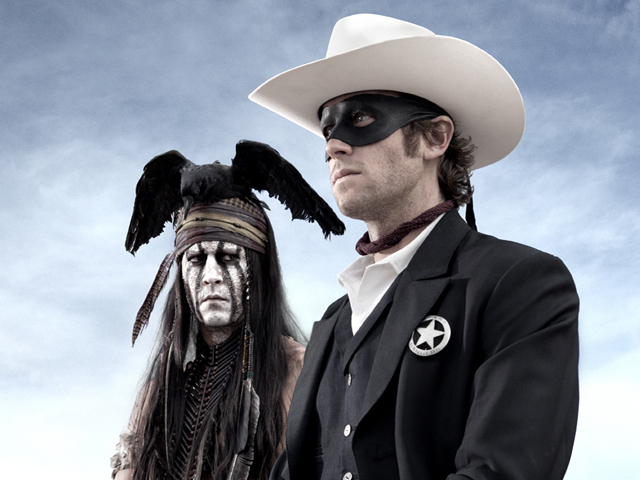 First look: Johnny Depp in "The Lone Ranger"
(CBS News) "The Lone Ranger" doesn't hit theaters until May 2013, but Disney and Bruckheimer Films just leaked a still photo from the film, featuring Armie Hammer in the title role and Johnny Depp as his loyal friend Tonto. The movie, directed by Oscar winner Gore Verbinski, also features Helena Bonham Carter, Tom Wilkinson, Barry Pepper and William Fichtner. Filming for the remake is currently taking place in New Mexico. Tell us: What do you think of the photo?